Zhejiang Jiasong Technology Co., Ltd was founded in Jan.,2011, located in Yongjia, Zhejiang. Consistently insisting on technology innovation and strict manufacturing process, we obtain customers’ long-term faith on Jiasong products. Jiasong gets involved in petroleum equipments and launches new products continuously. Based in China with global visions, Jiasong will keep on innovation and dedicate to create the greatest value for customers. 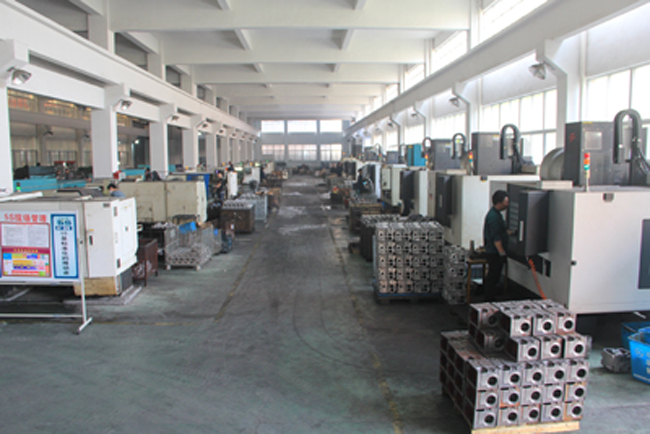 Our company has 110 processing equipments, 8 CNC and various kinds of testing equipments such as CMM, which can meet the processing requirements of various products. Moreover, we practise three guarantees for all Jiasong products. We promise to you forever of advanced production equipments, mature technology, superior quality, reasonable price and best service. All explosion-proof products have passed the examination, and gained China explosion-proof certificate and production licence of industrial products. We also have manufacturing licence of measuring instrument for fuel dispenser and flowmeter. Jiasong company implements the quality system of ISO9001:2008, adheres to the developing policy of technology, innovation, quality & service, and continuously takes the commitment of “building industry leader, contributing to the national economy”. In the future development, we will be committed to brand building and develop new economic growth point constantly, to build an international enterprise of Jiasong. Zhejiang Jiasong Technology Co., Ltd will continue to take active part in market competition with quality products, favorable price and excellent service. We expect to cooperate sincerely with all friends, new and old customers, to create the brilliance of Jiasong.